Lose weight in a healthy and easy way! The first step on the way to a slender body: the StockholmDiet.com™ slimming test! How has your weight changed over the last 6 months? Lose weight with a healthy slimming plan created for you personally. Lose weight with a nutrition plan from StockholmDiet.com: without physical exercise, without medications, without fasting. "Each kilogram lost reduces the risk of heart disease, cancer and diabetes"
a doctor and nutrition expert. I WANT TO TRY AND COMPLETE THE TEST! What our clients say about StockholmDiet.com? "I haven’t looked that good since the birth of my first child"
Eurovision star Leen Greefan, a mother of 2, shed 15lbs (7 kg) with the Stockholm diet. The results differ from person to person. Our users shed an average of 8.8lbs (4 kg) a month. "It was easy to follow the diet. I feel great and have a lot of energy now." Police officer Gunter Feldmann shed 99lbs (45 kg) with the Stockholm diet. The results differ from person to person. Our users shed an average of 8.8lbs (4 kg) a month. Scientist and mother Ivet Yurgenson shed 28lbs (13 kg) with the Stockholm diet. The results differ from person to person. Our users shed an average of 8.8lbs (4 kg) a month. "I wanted not only to slim down but also learn to eat healthy, so I chose the Stockholm diet"
Leen Konaev shed 22lbs (10 kg) with the Stockholm diet. The results differ from person to person. Our users shed an average of 8.8lbs (4 kg) a month. 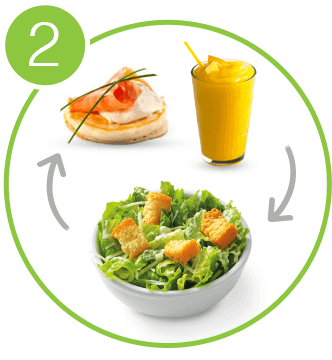 StockholmDiet.com is a weight loss programme based on the healthy eating fundamentals devised by the Swedish Medical Centre, which was founded by Swedish doctor Nils Johanson. The effectiveness of the programme has been confirmed by over half a million people from 170 countries worldwide who have achieved their dream figure with the programme of StockholmDiet.com. Why do people choose StockholmDiet.com? How does the slimming method of StockholmDiet.com work? What do the clients of StockholmDiet.com eat while slimming? These foods are examples from real individual slimming plans of our clients. Tasty, quick-to-make, individual. "It was easy to follow the slimming plan, the products are accessible easily and the foods are quick to make. And, most importantly, tasty." Diana Jacobson, a mother of two, shed 24lbs (11 kg) with the Stockholm diet. The results differ from person to person. Our users shed an average of 8.8lbs (4 kg) a month. "After the diet, I myself want to eat healthy products more." Musician Arni Grapp shed 22lbs (10 kg) with the Stockholm diet. The results differ from person to person. Our users shed an average of 8.8lbs (4 kg) a month. "I discovered new products and spices. But, most importantly, there was not a moment when I felt hungry!" Teacher Antra Freemann shed 35lbs (16 kg) with the Stockholm diet. The results differ from person to person. Our users shed an average of 8.8lbs (4 kg) a month. "I ate more than usually with the Stockholm diet. 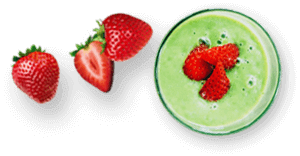 For breakfast, I had a yummy smoothie that has become the top breakfast treat in my family." The excess weight is reduced by consuming foods that are easy and quick to make and that ensure effective weight loss results. It is easy for people with a busy lifestyle to follow the meal plan. A nutritionist supervises each participant’s weight loss to achieve your desired weight. Your weight will go down and you will feel great. At the end of the programme, you will receive tips from a nutritionist to maintain a slender body forever. With the diet of StockholmDiet.com, your weight loss goal is realistic; therefore, we provide each user with a 100% satisfaction money-back guarantee! What do nutrition experts and doctors say about the programme of StockholmDiet.com? "Get rid of the excess weight permanently"
The method of StockholmDiet.com is unique and allows us to provide each customer with a guarantee: the weight you lose will not return or we will give your money back. Many clients are surprised that the lost kilograms really do not return after the end of the diet.  Chief Nutritionist of the StockholmDiet.com programme; a graduate of Riga Stradiņš University. Elīna has perfected the acquired knowledge by conducting scientific research on healthy lifestyle and the influence of nutrition. Elīna has participated in projects in the health sector. 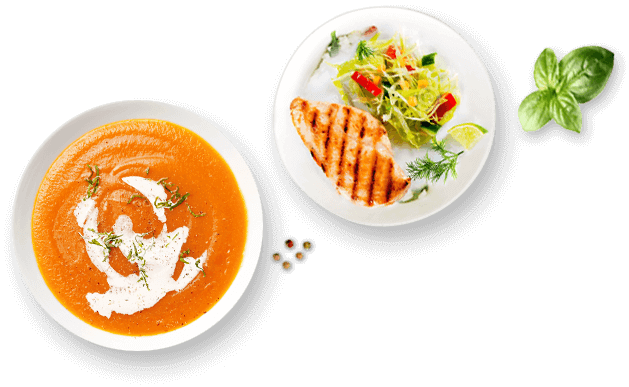 Elīna’s main task at StockholmDiet.com is to develop a programme and select the nutritional solutions optimal for each client, considering their lifestyle, body type, eating habits and capacity for physical activity. "Finally, a method that anyone can use to lose weight"
This is not just a diet. It is an entire system that finds the right approach for everyone. I assure you, no matter what your previous experience and current situation might be, we will find the correct approach for you to finally achieve a real weight loss forever. The diet of StockholmDiet.com has been created so that anyone could lose the excess weight, including people with extremely busy lifestyle and practically no free time. By the way, the majority of our clients admit that, during the diet, they spent less time on cooking and food consumption than before. Holds a Master’s degree in nutrition science. Liene has taken part in scientific studies. The ability to see things in context and in isolation allows her to delve into any issue and find the necessary solution when communicating with the clients of StockholmDiet.com. "Each kilogram lost reduces the risk of heart disease, cancer and diabetes." "You have to take the first step towards your health, because each kilogram lost reduces the risk of heart disease, cancer and diabetes. The first steps in loosing the excess kilograms are the most difficult ones; people often lack understanding of nourishment and professional advice. You need a specific diet plan created by experts who take responsibility for the results. The basic principles of the Stockholm diet comply with the World Health Organisation’s healthy nutrition guidelines. This diet has been adjusted to your everyday life and your body’s peculiarities as much as possible. Your excess weight can cause serious illnesses, so don’t put this off and start already today." "Shed your weight for real or get your money back!" "Each resolution starts with realising the situation, so it’s important to take the test and give honest replies to questions about yourself. I ask from the client to be frank and I give real results in return. Anyone can reduce their weight and build their perfect body; more than half a million clients of StockholmDiet.com have demonstrated that. This slimming programme is suited for people who are very busy in their everyday lives and those who have not achieved the desired results with other diets. The slimming is based on an easy daily programme that allows you to lose weight quickly and successfully and to maintain your body in the desired shape also after completing the programme." Nutritionist with long-term experience in medicine; fitness athlete with a trainer’s education. Viana creates both effective weight loss diet plans for people who cannot do sports on a daily basis and also individual training schedules. Owing to a broad educational background and experience, Viana ensures an effective approach to teach each client’s target body and looks. A high sense of responsibility and a broad mental outlook in the field of health ensures excellent assistance for the clients of StockholmDiet.com to lose weight. "The Stockholm diet is a healthy way to lose weight that works!" What’s the guarantee that StockholmDiet.com is effective? You will lose the excess weight with the plan of StockholmDiet.com. However, if for some reason you are not satisfied with the results you achieved, send an e-mail to diet@stockholmdiet.com or call 00371 66088016 within 30 days and you will get back all the money you paid on the same business day. StockholmDiet.com is among the leading weight loss programmes in the world whose effectiveness has been confirmed by more than half a million satisfied clients from 170 countries worldwide, so we can confidently offer a 100% satisfaction guarantee to our clients. How does StockholmDiet.com differ from other slimming methods? The slimming is 100% natural: no pills or food supplements are used. The weight is lost without physical activities. We give a 100% weight loss guarantee. A custom plan developed for you individually. How do I apply for the programme of StockholmDiet.com? You can apply online by taking a weight loss test. You can find the test at the top of this page. What will I get after signing up for the programme of StockholmDiet.com? Every client who applies for the slimming programme of StockholmDiet.com receives an individual weight loss programme and individual nutritional advice online. What happens if the programme doesn’t yield results? If you are dissatisfied with the programme or it doesn’t yield results, we will refund the money you’ve paid. Will the weight I’ve lost come back after I complete the seven-day programme? No, the weight you lose will not come back. Is the programme of StockholmDiet.com healthy? Yes, the programme is healthy and allows your body’s metabolism to function effectively; qualified nutrition experts ensure this. Will I receive a weight loss diet plan immediately after making the payment? Yes, you will receive an individual slimming programme right after making the payment. Are my personal data confidential and won’t they be disclosed to third parties? Your personal data are confidential and their safety is regulated by the Personal Data Protection Law. Da, Andrei dezvăluie secretul unui corp suplu! Inspiring story – how to boost your metabolism after 30 and get rid of that belly for good!! Your result is what we care about most. We understand your problem and we have a solution for it. Our priority is your wellbeing and results, so we adjust the programme to each client individually. We ensure regular availability of our nutrition consultants.